Dwarf Burford holly (Ilex cornuta ‘Dwarf Burford') is a smaller cultivar of Burford holly, a popular evergreen shrub which produces fragrant white flowers in the spring and attractive red berries in the winter. 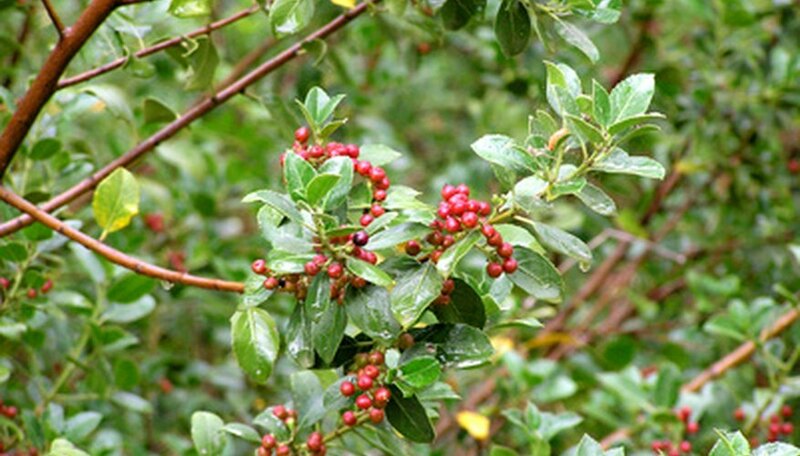 While standard Burford holly can grow up to 15 feet tall, dwarf Burford reaches only about 6 feet in height. These holly shrubs thrive in zones 7 to 9. Dwarf Burford holly makes an attractive shrub, foundation or border planting. Choose a location with partial to full sun. Choose full sun if you want the most berries and flowers on your holly. Dig planting holes twice as wide and as deep as the root ball on your dwarf Burford holly plants. Space the holes 3 feet apart if you are planting a hedge, to allow for future growth. Remove any rocks or hard clods from the planting holes. Set the plants in the planting holes. Add back in some of the soil you removed to ensure the root ball of the new shrubs is level with the ground. Fill in around the plants with the soil you removed. Water lightly to settle the soil around the roots. Apply 3 to 4 inches of mulch around the new plants to help conserve moisture. Continue to water the plants regularly during their first year of growth. Once established, dwarf Burford holly tolerates dry periods well.